The woe of the recent floods in Manipur triggered me an idea of possible alternative to avoid the recurring worries in future. As we know, there are multifold factors and causes of such frequent water worries in Manipur. They are unattended deforestation in the catchments, anarchical drainage system, chaotic residential occupation, mindless garbage dumping into the rivers, discriminatory Ithai barrage and Loktak Project. On top of this the tragic burial of Pats/lakes and wetlands in and around Imphal is crucial. Therefore, logical response to the situation towards transforming the flood bottleneck is to attack all the factors and causes. In the meantime, one project idea floating in my mind that connects to the solution not only to the flood but also to other current issues of sustainable development is – build model villages along the foothills of Manipur. By doing this, finally flood will not able to touch us. This could be postulated on the two grounds. First, decades ago Manipur valley was dwelled by many wetlands and we may give back some to them. Second, we desire to leave our frayed and un-rectifiable dens of Imphal and the Leikais of the other towns. Although restoring the Pats to their former forms, appears kind of tough job at the moment, still there will be better side of trade off. Because it will help to resurface natural flora and fauna, and can lower the global warming effect in Manipur. The aesthetic landscape of Manipur will be elevated in some ways, economic beneficial will also come along. Many of us living in and around Imphal and other towns feel stuffy, smelly which repels us to settle away somewhere afresh. Also ours is such a haywire unplanned town, the renovation and rebuilding may be possibly costly and ungraceful. New Residential Shift: In the earlier years of mine, whenever I was travelling along the Tiddim Road from Imphal to my village, I was always lost in a thought, looking from the bus window at western side of valley I saw something new and different. There are really beautiful spaces in the green foothills of Manipur. The location is not only lovely in scenic landscape but much ideal for compounding reasons for residential settlements. In a nutshell, this will be a better endeavor for socio economic political alternatives. The provincial Government of Manipur is always in the principal position to extend a committing help to the new minds in transforming the foothills to a sustainable and environment friendly residential settlements. All around the valley, there are plenty of such sites which can also be reconciled by streams for water supply and fertile soil for kitchen garden. Sovereign Livelihood: For this project philosophy, the Government is crucially desired to allocate land to group or community. One of the foremost beautiful segment of this design is to restore the sovereignty of self-sustained livelihood and make it operational in the world of 21st century. A different and meaningful live in a community setting where social harmony prevails, organic healthy food are not bought from the outside and maximum clean energy generates within. The sewage will be managed in low scale as it will be converted into the source of biogas for electricity and other purposes. A gas plant will be installed for each household or groupwise towards producing electricity and cooking gas. Solar energy installation and micro hydel power plants can be very functional for the village. Family and Community: The families and individuals who realize prevailing difficulties and very much willing to avoid the existing inconvenience, can be part of this new idea and be members of this new model village. Their understanding and volunteerism will be of great help in shifting to a new environment. The community in this village may be at the average of thirty families and can include some single individuals. Should be a village of multi ethnic community. 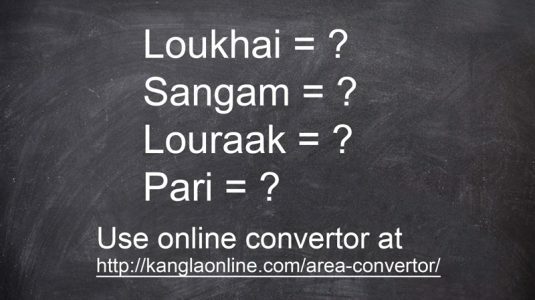 Therefore, mandatory to include Meetei, Naga, Kuki, Pangal and others. Any religious family or individual can be in the community. They can entertain community religious occasions but outside the village. There will be no public shrine, church, mosque and temple in the village. However a community centre will be to provide space for occasional social events. The family rituals and prayers should be restricted to their respective houses without undesirable effect to their neighbors. Housing and Farming: The shape of the village can be a linear cluster of the houses with about one kilometer in width. It may be so for administrative and other functional convenience. Each family can build their own house with a minimum and convenient budget yet scientific, hygienic and lovely one. They can accomplish it with a fair share and the support from the Government’s schemes. The assistant can be in the form of either housing materials or monetary kind. Each family is going to commit to kitchen garden farming for maximum food sovereignty. Therefore, they have to own an ideal land space. The farming will include seasonal vegetables, corns, cereals, fruits, other life stock of fowls, dairy especially indigenous breed. There can be as big as medium size farming towards extensive purposes for individuals and groups’ economic activities. The vegetables and other plants will be grown in and around the family houses. For animal husbandry, it may be set out at a reasonable distance, at the fringe of the village in order to avoid smelly disturbances and unhygienic contacts. Education: The families of the village will be in need of a good education input for their young hearts and minds in such fresh village lifestyle. The Government has to extend infrastructural supports at least for elementary and middle schools, equip them with productive teachers. Interested individuals but qualified ones from the village can volunteer in teaching the children as well. The community members can also extend volunteer in designing curriculum for children. Transport and Communication: An unbumpy approach road free from dust and pot-holes, and flanked with cycle way and footpath is required to stretch from the main roads to the village. Also there will be one inter village road to connect the model villages one another. A public transport set up at least with a bus in tuning with timely frequency will be plying up and down. Since the Government has got reasonable fund for such purposes they must take the responsibility. The community also will use the private cars at the least and optimize the cycling and walking. Security: A small number of 5-7 selected, active security persons either from police or VDF will be deployed to take care of the day to day crimes and violence of theft, robbery and other nuisances tend to occur in around the village. In case of the requirement of reinforcement in certain situation, they will coordinate with the police station and Superintendent of Police concerned. In the beginning for trial experience, about five villages can be set up. Once the villages are in places and run accordingly then hundreds will be followed in no time. Because such is Manipur to copy new things. This could also be an ideal aspect for meaningful tourism in Manipur. This model village will yield home-stay facility to tourists from within and outside. Again, in order to make a meaningful accomplishment a good few supports and assistance from the Government and relevant experts are prerequisite. The best and healthiest farming methodologies, effective maintenance of sewage and drainage technologies are much beneficial. Loved reading this article. There are numerous issues and problems arising today with growth in population and urban expansion, may be flood, pollution, traffic, loss of cultivation land, etc. In my opinion it will be of great importance to set certain guidelines and rules regarding growth and need of human environment through consulting experts with the help of mappings and master plans and understand the developing pressures being put on the land. Setting up model settlements can be an important start of utilizing foothills for human settlements and preserving the precious wetlands or other natural sources or the fertile valley which accounts for only 10% of the land area of the state. We must understand that our land form and geography did play big part in making us which we are proud of in varied fields of achievement. We cannot ignore the importance of natural systems and their gift imparted to us for ages and generations which do not take a central part in development discussions. We are losing many of the sources that made us, for say, the streams, the vegetation, the flora and fauna which have been of many uses to us. For example we are starting to rely heavily on imported fish for our own consumption where as it is a land with such natural gift that one would find fish wherever there is fresh water. Such was the scenario of the then and now.